everin von Eckardstein was born in 1978 in Düsseldorf, Germany. He took his first piano lessons when he was six years old. At the age of 12 he was accepted into Barbara Szczepanska's young talent class at the Robert Schumann Musikhochschule in Dusseldorf. During his school years, von Eckardstein continued his piano studies in Hannover and in Salzburg with Karl-Heinz Kaemmerling. After his graduation from high school, he attended the Universität der Künste, Berlin, to take lessons with Klaus Hellwig. Following his degree in 2002, he continued his studies also at the International Piano Academy Lake Como, Italy. Von Eckardstein won numerous competitions, both national and international ones. Among these are the Hamburg Steinway Competition (1st prize in 1990), the Incontro Internazionale Giovani Pianisti in Italy (1st prize in 1991), the Feruccio-Busoni Competition in Bozen (1998), and the ARD Competition in Munich (2nd prize in 1999). In 2000, von Eckardstein received the third prize and in addition the special prize for best interpretation of contemporary music at the Leeds International Piano Competition. Many of the music critics that were present at the time, unanimously chose Severin von Eckardstein as their winner. In June 2003 Severin von Eckardstein won the first prize at the highly prestigious international Queen Elisabeth Competition in Brussels. During the final round of the competition, he gave a phenomenal performance of works by Beethoven and Prokofiev. 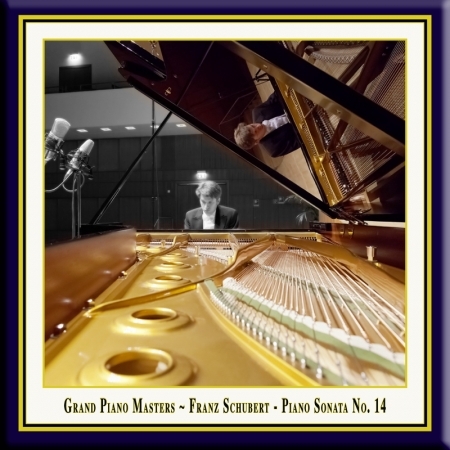 This combination certainly shows the amazing versatility of this young master pianist. Meanwhile he has played on many great stages in the world. Among others he gave highly appreciated concerts in Berlin, Munich, London, New York, Miami, Amsterdam, Tokyo and Seoul. Prestigious festivals invited him, such as "Klavier Festival Ruhr", the "Aldeburgh Festival", "La Roque d'Anthéron" in France and the "Gilmore Festival", Michigan/USA. Having participated several times in the series "Meesterpianisten" in the Concertgebouw Amsterdam, von Eckardstein just opened the Jubilee Concert of this top-class piano series which has been existing for 25 years by now.